World Resources Institute (WRI) is a global research organization working to secure a sustainable future in more than 50 countries around the world. WRI’s stated mission is ‘to move human society to live in ways that protect Earth’s environment and its capacity to provide for the needs and aspirations of current and future generations’. WRI’s work is organised around six critical areas, climate, energy, food, forests, water and sustainable cities. Indonesia is a rapidly developing nation. At the same time, Indonesia is the world’s fifth largest emitter of greenhouse gases due to the land use change of its forests and carbon-rich peatlands. Sustainable development issues transcend borders, with the fate of our planet on stake. Lessons from Indonesia would be valuable for developing countries around the world, who are trying to drive economic growth, while protecting the environment. The ultimate objective is the same, improving the lives of citizens, for current as well as future generations. 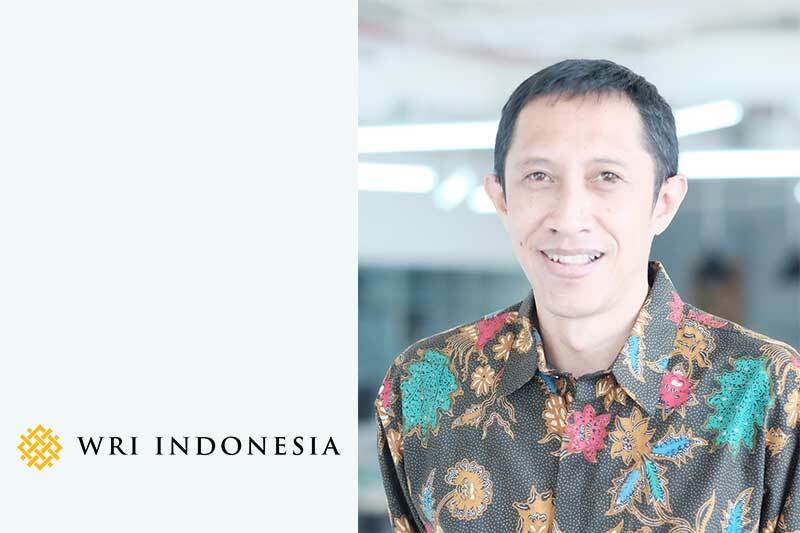 OpenGov had the opportunity to interview Dr. Nirarta Samadhi, Country Director of WRI Indonesia to learn about the organisation&apos;s strategy and challenges faced. Can you tell us about your background and current role at WRI Indonesia? I am the country director of WRI Indonesia, and internally within our organization, my responsibility is to be the conductor of all efforts and innovations towards sustainable development coming from the government, private sectors, and civil society organizations into consolidated WRI Indonesia programs to support the achievement of Indonesian sustainable development goals. Prior to my role at WRI, I worked as Deputy Minister of Indonesia’s Unit for Development Monitoring and Oversight (UKP4). As Deputy, I designed policies such as Indonesia’s groundbreaking forest moratorium, establishing Indonesia’s new REDD+ Agency (BP REDD+), and driving the OneMap Initiative to harmonize Indonesia’s land use planning. Previously, I also served as chair of the Working Group on Moratorium Monitoring, which is a part of the Indonesia REDD+ Task Force and worked with the United Nations Development Programme (UNDP) as a strategic planning advisor and head of Papua Accelerated Development (PADU) Advance Team. After all, I am an architect and urban planner by training. I am passionate about how to integrate environmental aspects in urban planning for the welfare of its residents. What are the primary areas of focus for WRI Indonesia for the next 3-5 years? Can you tell us about initiatives and projects in those areas, timelines, and expected outcomes? WRI Indonesia is relatively new in Indonesia although the presence of WRI global office has been there for quite sometime. WRI Indonesia was officially established in 2014. For the next five years, WRI Indonesia is going to focus all of its efforts to bring innovations in research and business approaches for creating conditions, which would enable Indonesia to achieve rapid economic growth sustainably. We also want to contribute to the accomplishment of national goals by working with various stakeholders and lastly, we want to empower the public to play an effective role in participating in the development through critical discussion based on evidence. These focuses will be integrated into each of our priority topics: forest, climate, cities, and energy. Nevertheless, our infant stage does not restrain us from contributing significantly to achieve sustainable development. For example, in advancing sustainable land use planning and management, WRI Indonesia supports the implementation of One Map Policy at the local jurisdiction level, providing technical assistance in GIS (Geographic Information System) development and the establishment of the multi-stakeholder forum for conflict resolution. The work has started in Riau, where WRI Indonesia has also opened a regional office. WRI Indonesia also supported the Peatland Restoration Agency with the mapping of Indonesia’s degraded peatlands and assisted the Geospatial Information Agency in administering the Indonesian Peat Prize, an international competition to find a more accurate, affordable and faster method to map peatlands. On restoration, WRI Indonesia organized three national workshops, introducing WRI’s and IUCN’s Restoration Opportunities Assessment Method to the restoration stakeholders. In the energy sector, WRI Indonesia worked with the Ministry of Energy and Natural Resources to develop a Sustainable Energy One Map, a database and geospatial platform of reliable national and sub-national data and analysis relevant to clean and renewable energy development. In 2016, WRI Indonesia also works with Bandung government to address road safety issues by redesigning the city’s road planning and conducted a road safety audit. WRI describes itself as a research organization. How does research translate into action and impact? Can you tell us about the process in the context of Indonesia? WRI Indonesia is a think-tank and a do-tank. Hence, we adopt a unique approach in our work, called: Count It, Change It, and Scale It. Count it refers to credible research with clear methodologies for every problem we are questioning. Change it relates to the stage of how we apply our research by strategically influencing decision makers through partnerships or providing our technical expertise. Scale it is when we replicate the application of best practices to a wider audience. However, our approaches do not work linearly. Instead, they are dependent on the context. One example demonstrating our approaches is Project POTICO or WRI’s Initiative on forests and landscapes in Indonesia. In a nutshell, it is a data-driven analysis to support government and civil society actions for effective and equitable land-use in Indonesia, by utilizing degraded lands for productive activities to avoid further deforestation. To provide background, palm oil is Indonesia’s top exported commodity and has become a key economic driver for the country. However, it has also been often associated with the loss of Indonesia&apos;s valuable forests. Project POTICO uses novel mapping techniques (Sustainability mapper and forest cover analyser) and community engagement to help shift palm oil development from forested areas to already-degraded lands. Several WRI projects appear to be driven by open data, made accessible through interactive maps or other data visualization tools. What role is being played or could be played by open data in Indonesia? WRI Indonesia supports transparency and open data. Data is the critical backbone for all research that we do and all our works to instigate change. Open data is in itself promoting and inducing improved data integrity and accountability, hence better quality of datasets. Without open data approach, policymakers cannot make an informed decision, and the chances of them addressing the wrong root of the problem will be bigger. Open data in the context of the environmental sector can also be helpful. For example, Global Forests Watch – the free to access online platform – can inform us with forests fires alert. Another project where open data is crucially needed is our support for One Map Policy. For many years, there have been various overlapping data on lands mapping. Hence, it created conflicts among people on the ground level. Consolidating the map into one version is a foundation, which once it’s settled, it will create a domino effect to other forest-related issues. Can you tell us about working with government (across national, state and local levels), other non-governmental agencies and private companies and individual citizens to drive your sustainability agenda? WRI Indonesia is a firm believer in the effectiveness of working collaboratively across the board. At all of our projects, we partner with the national and sub-national governments, the private sector, and civil society organizations. Impactful changes have to be cross-cutting, not curbed at one silo. For example, for peatland restorations efforts, we work in close cooperation with Ministry of Environment and Forestry, Peatland Restoration Agency, subnational governments at seven priority areas, and various civil society organizations, with whom we continuously engage. In your view, what are the biggest challenges in the path of achieving sustainability? Debunking the myth of trade-off between safeguarding the earth and sustaining welfare is the main problem. WRI Indonesia works to create a balance at the nexus of environment, economic opportunity, and human well-being, but many skeptics still think that these three cannot be achieved altogether. In the context of developing country, like Indonesia, this myth is ingrained in the mindset of some people. As the ramification, people pursue economic growth at the expense of the environment. For example, many people believe that clearing forests and turning them to productive lands for plantation can sustain the economy for the local population and the country, but deforestation and degraded land destroys the function of forests as a natural mechanism for carbon storage and adversely affects the poorest segment of society. Hence, we came up with the POTICO approach as had been explained previously as a strategy to balance economic welfare and environmental protection. The benefits of investing in sustainability might not be apparent immediately. Sometimes, short-term economic gains appear to trump long-term concerns. How do you bring all stakeholders on board to ensure sustainability? The key is to listen and open for understanding concern of each stakeholder. WRI upholds the value of striking a balance. We understand that economy has to keep growing, but how can we attain low-carbon development? This is where our expertise contributes. With the rapid advancement of technology, we can bring innovations to the table. For example, POTICO is a classic example how we meet the concern of palm oil producers while mitigating the next outbreak of forests fires: the producers can plant the palm oil trees, but not by slashing and burning intact forests, instead of using the existing degraded lands and making the land productive again. Unfortunately, various stakeholders still come to the negotiation table with black and white binaries, without realizing that win-win solutions are possible – enabled by the progress in research and technology. WRI Indonesia uses the existing body of reseach and knowledge as well as databases and almost real-time monitoring platforms, as a way to make the case about the possibilities of balancing short-term economic gains with sound environmental protection. Dr. Nirarta Samadhi is a speaker at the upcoming Indonesia OpenGov Leadership Forum in Jakarta on March 22, 2017.